We are presenting the unique and incredibly rewarding video slot brought to you by GameArt. A video slot where you have rewarding and fun features where you have the opportunity to control both the amount of free spins, as well as the number of multipliers, in the special feature, offered. This is Power Dragon! GameArt is an independent online casino software provider and developer of cutting-edge games which they in its turn deliver to the biggest operators in the markets. GameArt was founded in 2013 by a group of entrepreneurs with over 20 years’ experience in both the online and land-based industry. They created GameArt and turned it into a B2B provider with offices across Europe. Their employees work tirelessly to provide high-quality slot games with innovative and creative themes based on the client's request and desires. Power Dragon is another addition which shows how GameArt creates their games; you will find out exactly what I mean shortly! The moment you enter the game you will be showered in colours, for and most the colours of China and everything that comes with it. It gives quite a mysterious and fictional feeling as you see the symbols and the design, but it is at the same very fascinating. Bright and shining light with incredibly detailed animations are just part of why this slot is so easy on the eyes. The theme is based on Chinese culture, and the symbols of the game symbolize this perfectly. Across the reels, you will see symbols such as the koi carps, the red money, the stone dragon sculptures, the Chinese gold coin, and the five differently coloured dragons. You have the red dragon, the green, purple, black, blue, and golden dragons. You will also see deck card symbols ranging from 9 to Ace, with a twist. Some symbols are worth more than others, and some can reward you with great features. The ones you should keep an extra lookout for is the gold coin which is the Scatter symbol of this game. The golden coloured dragon is the Wild symbol which you do not want to miss out on! Chinese dragons are legends, especially in the Chinese mythology and folklore. The dragon can take on many forms, usually turtles, fish, and other imaginary creatures. The dragon represents power, as mentioned in the game, as well as it is a symbol of strength and good luck for people worthy of it. Usually, extraordinary and excellent people are compared to dragons. China still worships the dragon, one of the ways they do this is on New Year’s Eve when dancing dragons festivals take over. Now it is time to let the dragons power take you over, maybe you will be the one to celebrate these dragons for granting you with amazing rewards. Are you the worthy one? The graphics in Power Dragon is as always with GameArt slots incredible, filled with details that have been well-crafted to display the real looking artefacts of the ancient China. The colours are bright, and the backdrop is black with overlooking golden and red shapes in different patterns. The design is, to say the least beautiful and stunning with the brightness and the remarkable patterns across the reels. The music of the game is fairly discrete with sound effects as you spin the reel and hit a win, mostly a very retro kind of music. During the features, the Chinese traditional music steps in and heightens the excitement further. 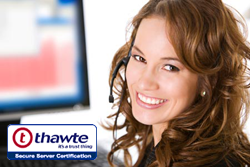 Power Dragon offers a boosting 243 paylines which are always active during the base game. All you need to think about when placing your bet is to make it suit your needs the best. The stakes range between €0.01 and €0.50, which makes the minimum bet €0.50 and the maximum bet of €25. Power Dragon does offer some extensive and rewarding features, but not a specific bonus game. But if you are the kind of player that does enjoy the Chinese inspired theme, with a bonus game, then you should check out Koi Princess from NetEnt. This is a video slot also inspired by the Chinese culture, manga, and dragons, and it offers its players a bonus feature where you can win amazing prizes, spins, and Wild reels. This is where the real excitement comes in! the traditional golden coin is the games´ Scatter symbol and can activate a free spins feature. When you manage to land three coins or more, you will be taken to a different screen where you can choose your desired reward. You will see the five differently coloured dragons, all symbolizing a different number of free spins and multipliers. The more free spins, the lower is the number of multipliers for it. You can choose between 10 and 25 free spins with additional multipliers between 2x and 30x the bet amount. Even better, the red money symbol will help you get some more extra wins during the free spins round. If this appears on the first and last reel, you will get between 2x and 20x your bet. The coloured dragons mentioned above has more than just the ability to symbolize the various prizes for the free spins feature. Apart from this, the coloured dragons also act as the games´ Wild symbols. This can appear on reels 2, 3, and 4 only, as well as in the base game and the free spins feature. This symbol will step in to replace all other symbols to create winning combinations for you. If you are lucky enough, you have the chance of hitting some extra big wins and jackpots. As you manage to hit a five-of-a-kind combination of symbols, you will win a minimum of 100x multiplier and a maximum jackpot of 2500x your bet. 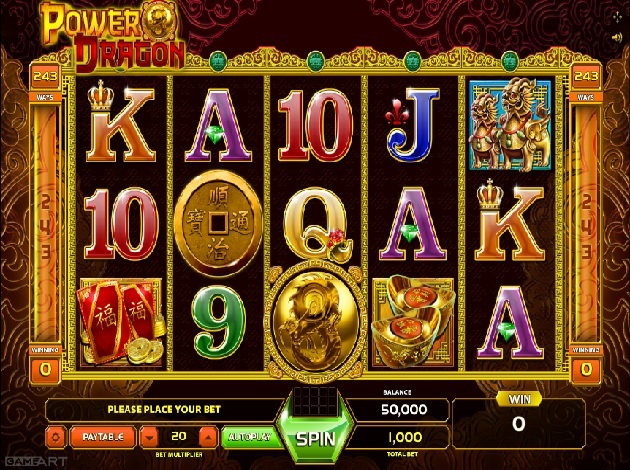 The features in Power Dragon video slot are all very rewarding with the choices of both free spins and multipliers, which can increase your wins rapidly. We are sure that you will enjoy this masterpiece from GameArt – we proudly give you Power Dragon! Best of luck!